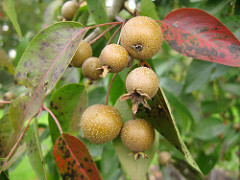 L. Mespilus germanica, Fr. néflier, Eng. medlar, brown fruit, like a small apple, edible only after it begins to decay as the pulp becomes soft. This fruit originated in Persia and southern Europe. It is a member of the apple family but appears more like a brown plum. The Greeks knew them and the Romans took them to all corners of the Roman Empire. Italians claim they introduced them to England, but the English say it was the Normans. Perhaps it was forgotten after the Romans left and the Normans reintroduced them. The tree produces white flowers that bloom in May and June, which are followed by the fruit that matures in October and November. Crops from Villajoyosa (Alicante) are particularly splendid, as they grow best in temperate humid climates. Select sweet apples. Peel, quarter and remove core and pips. Fill a pot with enough water to cover apples and bring it to a boil. Add apples and cook until soft y not mushy. Remove from water, let the apples cool and reserve the water. Blanch, peel and grind almonds in a mortar or food processor. Blend them with 1 qt of the water reserved from boiling the apples and one slice of bread soaked in the broth. Strain this almond milk through a woolen cloth into a pot. Save1 tbsp of the toasted almonds to garnish the dish prior to presenting it. Add sugar and cinnamon to the almond milk. Bring to a boil, remove from heat and let cool a few minutes before adding apples. 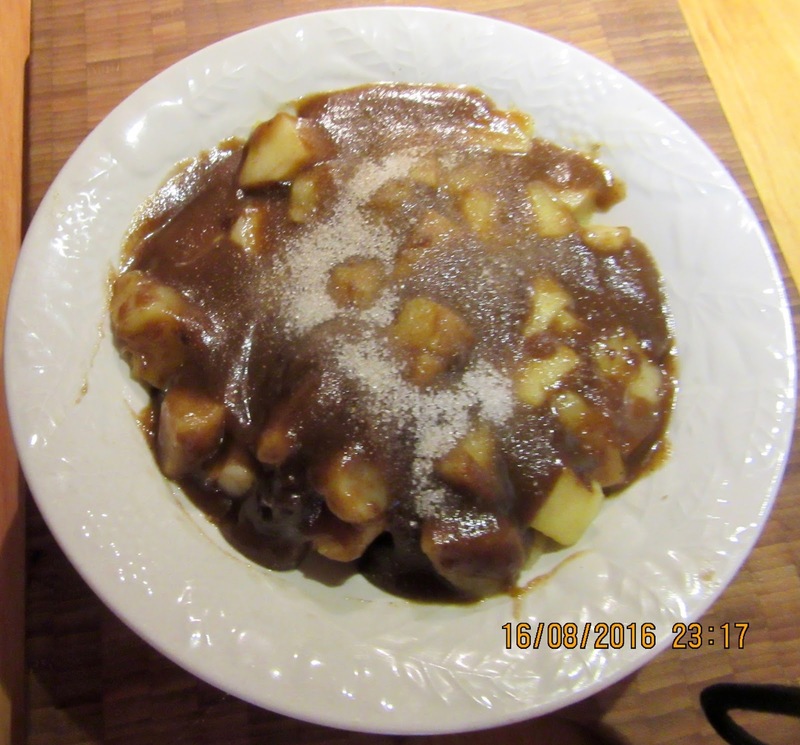 so that you can prepare dishes of them; and when they are done, cast sugar and cinnamon on top. Medlars can be used although Nola calls for apples.